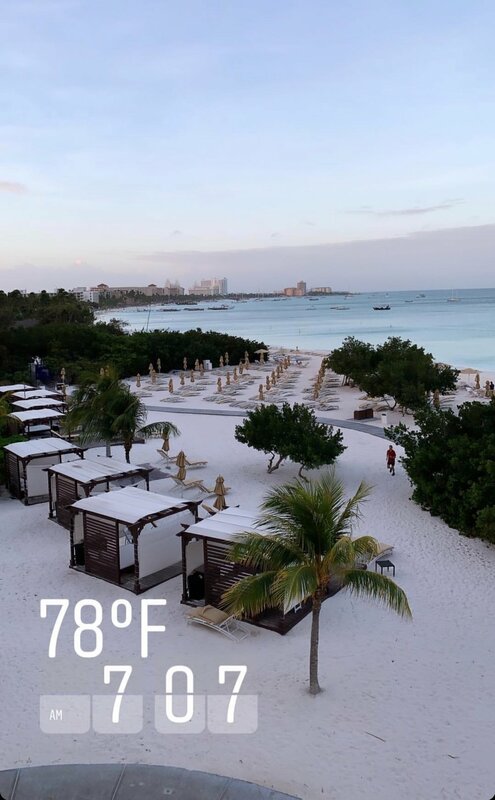 I have been to Aruba twice now- once with Mack’s family, and once with my family. I would go back in a heartbeat for a third week if I could because I LOVE it. Aruba was always somewhere I wanted to visit, and it truly exceeded my expectations. 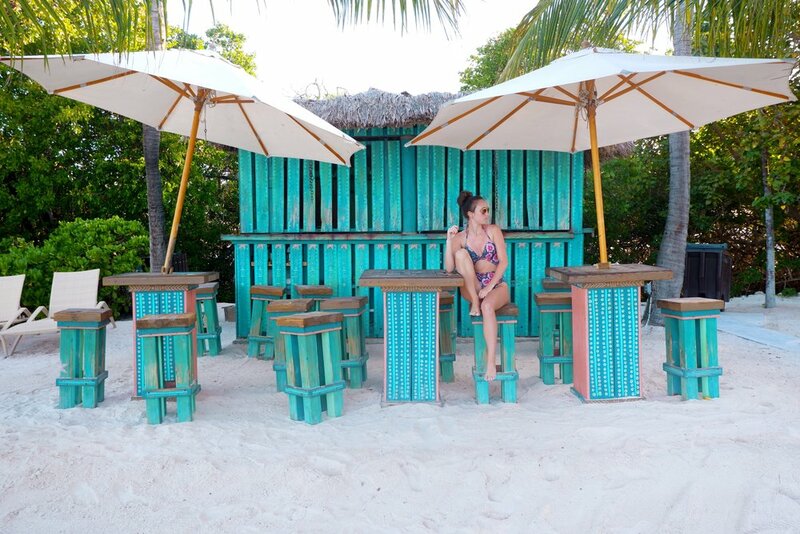 I wanted to share everywhere we went to eat and what we did throughout both trips so that if you go, you can use this as your own guide to traveling Aruba! The crime rate is SUPER low there, and while I’d advise against being out alone, you don’t have to worry about shopping downtown or going off the resort side of the island with your family. EVERYONE is so friendly, and that’s why they call it “One Happy Island”, but if you have an attitude they will make fun of you! Be a nice human always, but especially while being a tourist! The first time we went we did not rent a car and taxied everywhere, which worked out great, but the second time we went, we had a car for the first 3 days and that turned out perfect because we were able to navigate our way through the island and see as much of it as we wanted to on our own. There is no need to buy bottled water in Aruba. 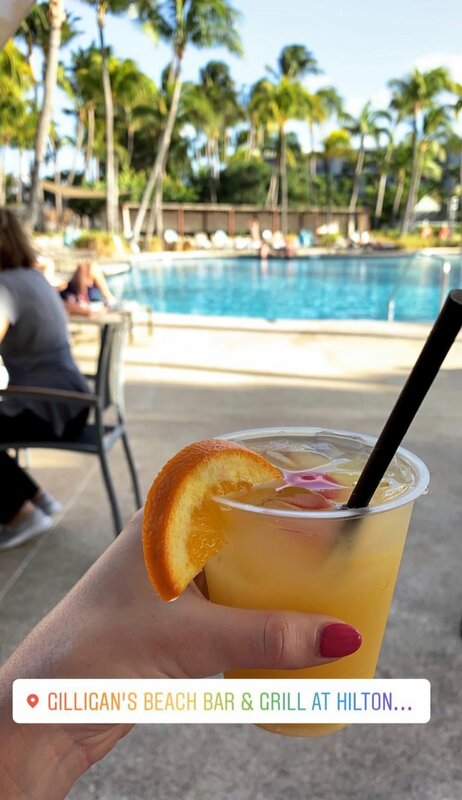 Since Aruba does not have any freshwater sources, all of their tap water is distilled in a saltwater desalination plant and meets the highest standards of quality according to the World Health Organization. 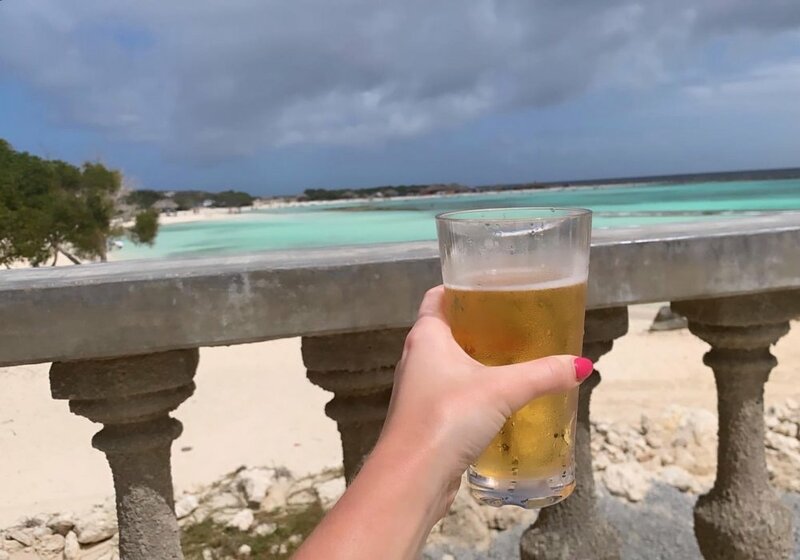 I won’t drink out of the tap in America but I did the entire time I was in Aruba! The island is only 21 miles long. We never ran into anybody who didn’t speak multiple languages. My dad speaks Spanish and was talking with a local about their local language and he said it’s a mix of Dutch, Spanish, and Papiamento. They definitely have their own lingo, but everyone we ran into could speak clear English so you don’t have to worry about miscommunication. About money: While they have their own currency, American Dollars were always accepted everywhere we went. On this note, most restaurants automatically added in a service fee to the total bill, so make sure you pay attention to that! 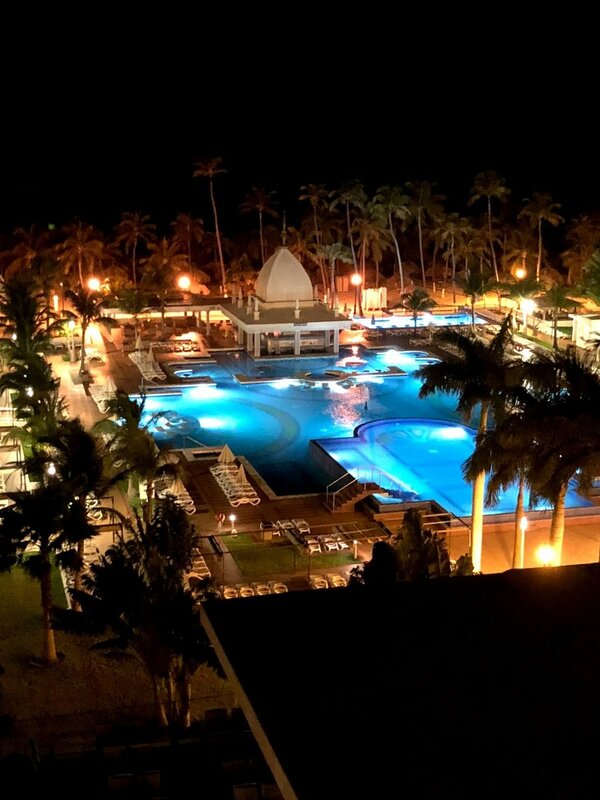 The first time I went, we stayed in the all inclusive Riu Palace on the high rise part of the island. This was my favorite place to stay because it was so spectacular! 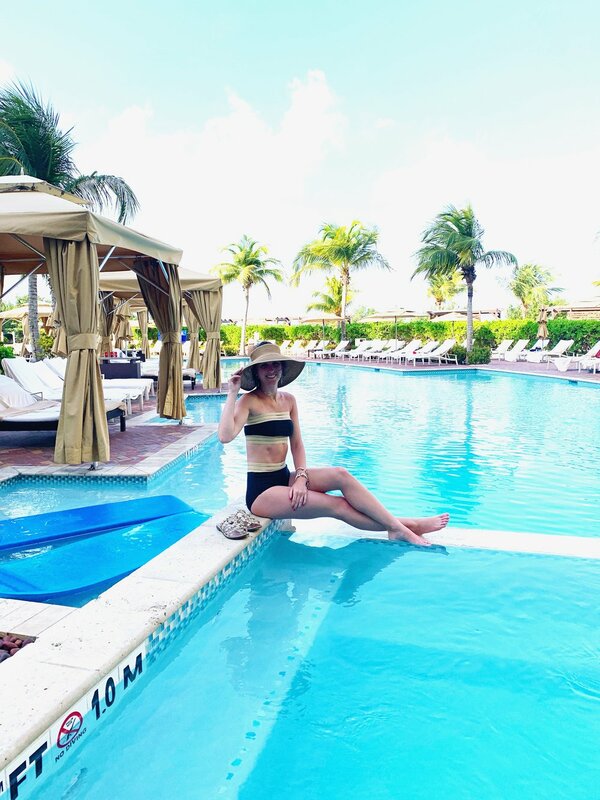 The pool was amazing and had a swim up bar, the rooms were massive and had a shot station in the wall with different types of liquors and mixers, and the lobby area and all the restaurants were all amazing! Getting all inclusive made so much sense for that trip because there were 8 adults traveling together. The drinks were amazing and and restaurants were truly amazing as well! There was also really cool entertainment nightly for the guests, which was fun to watch after dinner. 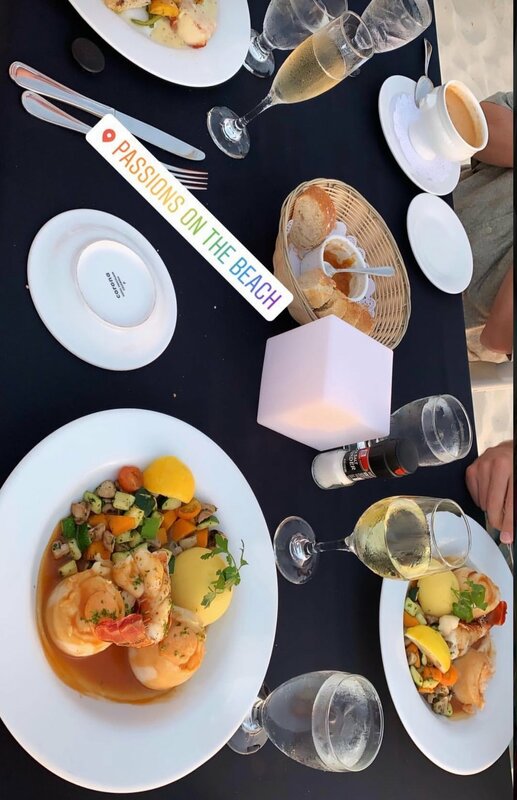 The only downside to staying in an all inclusive is you feel kind of guilty for eating off the resort since you paid so much for food to be included, so you tend to stay at the hotel for most of your meals. The second time I went, we split our time between the Ritz-Carlton on the high rise part, and the Renaissance that is near downtown. The Ritz-Carlton is my second favorite hotel on the island, and a lot of tourists and people who work on the island told us the Ritz was one of the nicest to stay in. We stayed in the Renaissance for two nights in the middle of the week so we could take two day trips to Flamingo Beach (more on that soon), but it was also really nice! I just preferred the beach front resorts. Baby Beach: We stumbled across this beach that seemed to be more popular for locals, but the water was warmer than the High rise part of the island, and it wasn’t as windy. There’s a place you can get a beer on the roof overlooking the beach and it’s beautiful. ATV Tour: This was so much fun! We did this with Mack’s family, and we had 2 4-seater ATVs. 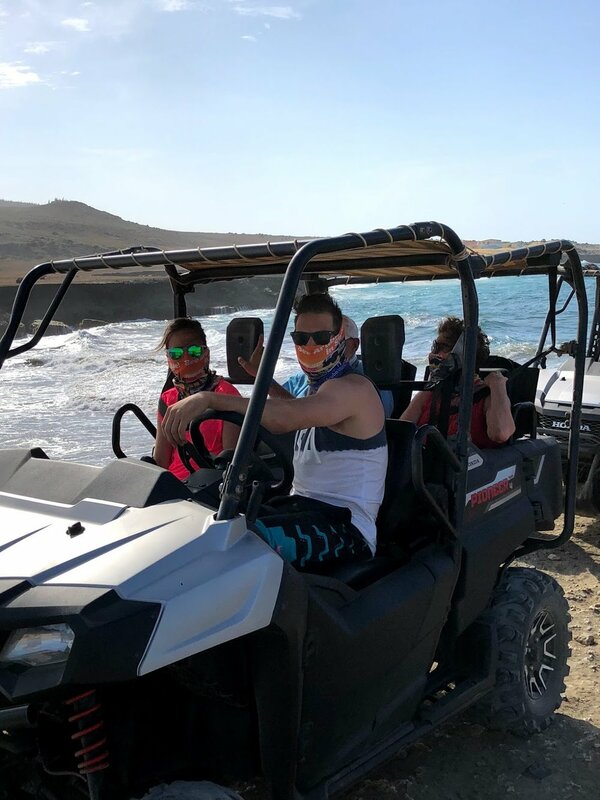 There are two tour guides (one in front and one in back) and everyone drives these ATVs all through the island. it’s a few hours of riding, but this is such a great way to see the entire island! You get to go through actual streets and neighborhoods of people who live on the island, and I think it’s so important to try to immerse yourself in the real life of a vacation you’re on. I got to see a landmark chapel, swim in a natural pool (so much fun! ), climb a gold mine ruin, and see the desert part of the island (which is SO different than the high rise resort part of the island!). We also got to feed a bunch of random animals because when you check in for the ATV tour, it’s actually on a petting zoo property and they take in so many random animals! I fed an ostrich, which was pretty awesome. Catamaran Tour: we took paradise palms tour for a day time trip. they take you to two snorkel destinations, and lunch and drinks are included! I only snorkeled on the first stop and the second time I just sat on the boat and drank LOL. but I loved this because I think boats are so much fun and since this one is pretty big we didn’t get sea sick (and Mack usually gets sick on the ocean). Balashi Brewery: We actually didn’t get to tour, but it’s pretty nice to get a beer at the factory where it’s made. Honestly, you can skip this unless you’re super into saying you went to the only brewery on the island, but I went so wanted to include it! Scuba diving: Mack has his scuba diving license, and he went to see a shipwreck for a few hours. He had a great time so if you’re interested in scuba diving they have plenty of tour options for this as well! 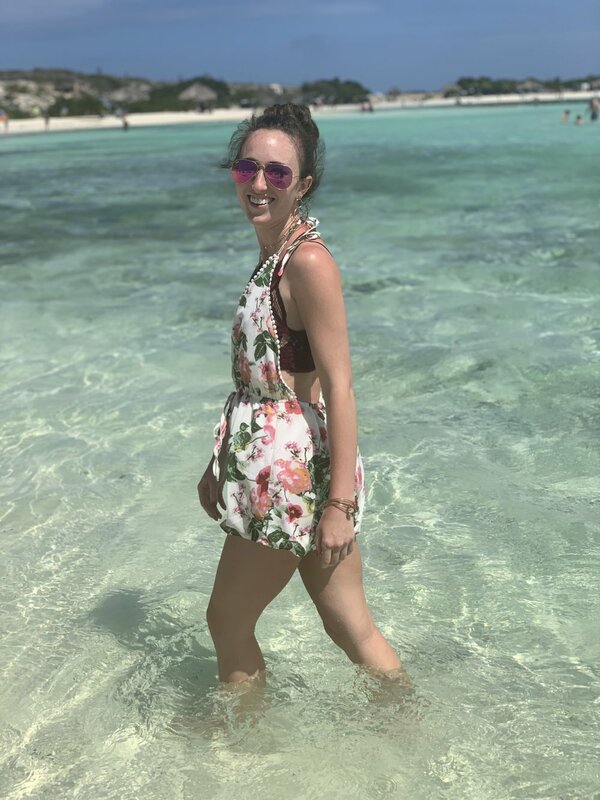 Flamingo Island: This was one of my absolute favorite memories out of both times I went to Aruba. You can only get to this Island if you are a guest at the Renaissance hotel or if you pay $125 per person for a day pass to get there. However, the two days we stayed at the Renaissance, they had signs by the front desk saying they were no long selling day passes “until further notice”. Upon further research, people are told they only sell 15-25 passes a day and people stand in line for hours to get them as soon as they open. A boat takes you on an 8 minute ride to an island that Renaissance owns, which has six flamingos living there. It has a full restaurant, two bars, a fitness center (apparently, but I didn’t see it or look for it), a spa, and nice restrooms on the island too. You can also rent a private bungalow on the water for around $350 a day. We didn’t want to do that, so we just got on the boat early (7am) and claimed a section of chairs under an umbrella for the day and had breakfast on the island around 8:30. Also, when we were reading about the island, we read that it had no shade, but we found that there was tons of shade all day! the flamingos love to be fed out of your hand, so you definitely have to do that if you go! Bring quarters so you can get flamingo food out of the machines. But keep in mind that most of the people who go to the island want pictures with the flamingos, so we never experienced them just walking around between our chairs because there was always someone taking photos near them so they were kind of trapped in one corner. Submarine Ride: This option is perfect if you’re like my mom and I and don’t enjoy scuba or snorkeling. This is also a kid friendly activity! They take you down 160 ft. and you get to see the reefs and all the sea life. California Lighthouse: we walked up to the top of the lighthouse and it’s pretty cool to see basically the entire island! Except if you’re like me and terrified of heights you may not want to do this. In this photo, I took my hands off the wall for about 3 seconds, I never looked around, and crawled back inside. Azzurro Ristorante Italiano: such good Italian food! Sunset view, great appetizers and we got the pasta in a giant parmesan cheese wheel- it was amazing. Bugaloe: This was my favorite place for breakfast! Probably the cheapest place to get a meal AND its on a pier right over the ocean! You can feed fish and pufferfish while you eat your breakfast, and the views are just fantastic. I ate here for breakfast almost every day both trips, we went for a Thursday night live concert which was a BLAST, and their lunch is great too! Everything is crazy expensive in Aruba, so it’s nice to have a reasonably priced good meal option like this one ($5 for a Ham and Cheese panini). This is my number one breakfast and after dinner spot. 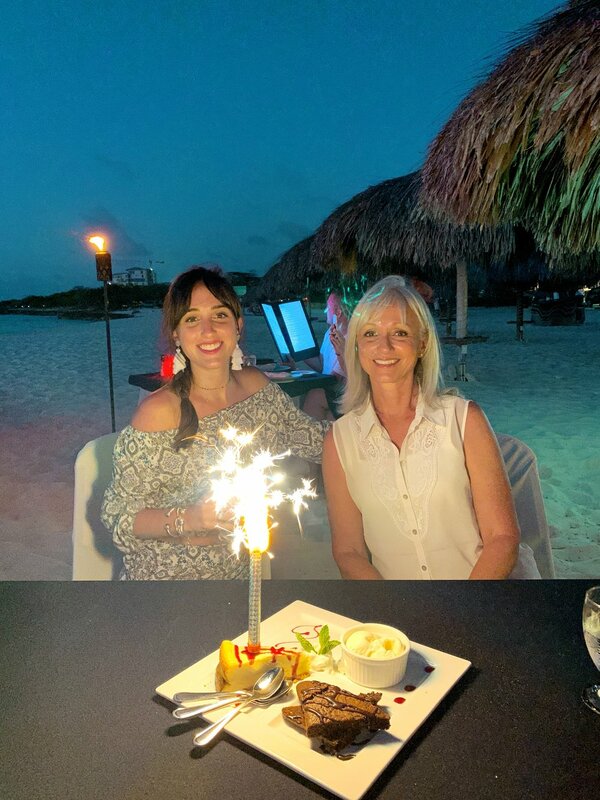 Passions On The Beach: This is my number one dinner recommendation for anyone going to Aruba. It’s reservations only, but make yours for 6pm (when they open) because the sun sets around 6:45. 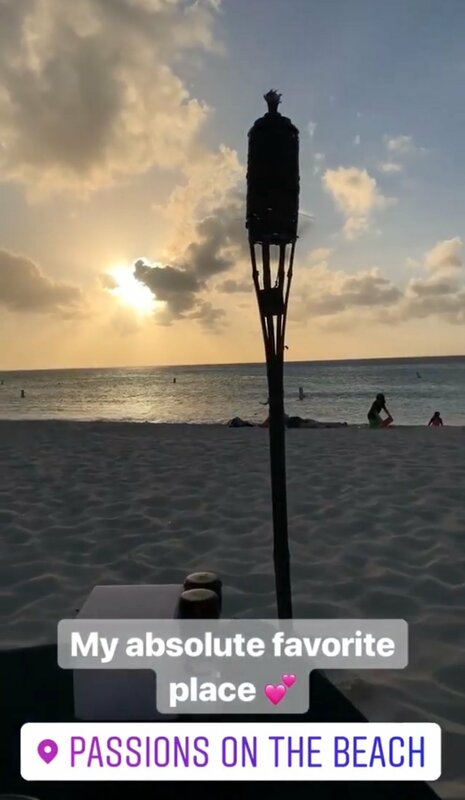 This is a restaurant that seats you at tables in the sand on the beach, and once the sun goes down they light tiki torches all around you and a colorful cube on your table. 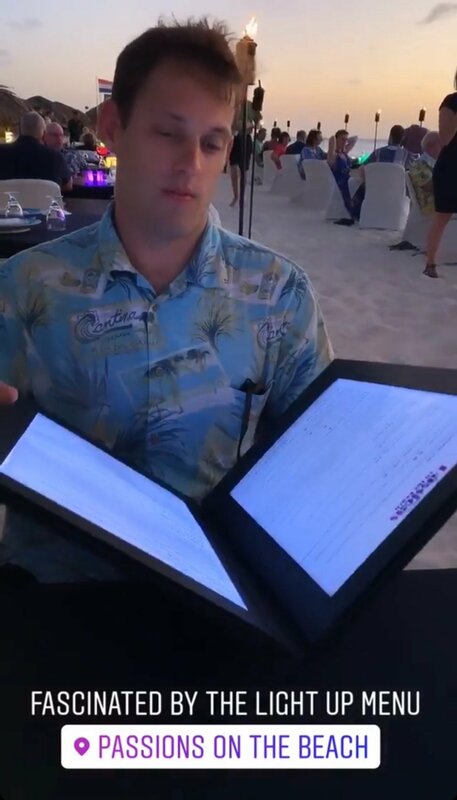 The menu also lights up when the sun goes down so you can see what you’re ordering! 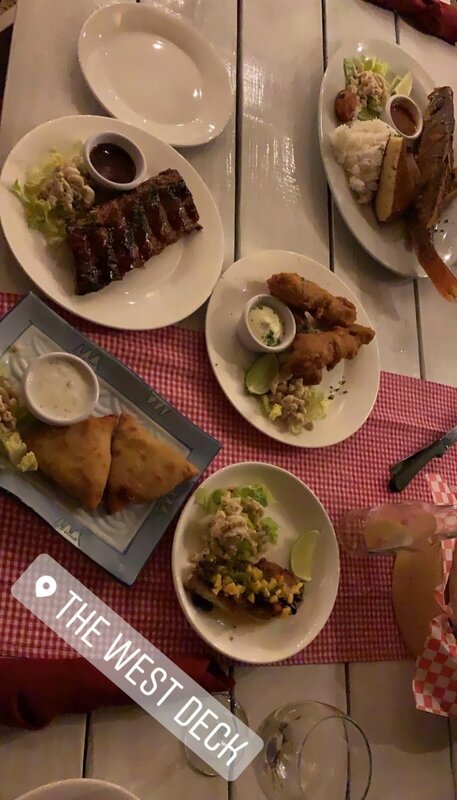 They have the BEST food, and I personally always go for the surf and turf when I go. It’s the most romantic night for couples, but group and family friendly as well! The West Deck: This place was great for small plates! Their food was delicious, but this one is closer to the Renaissance area. 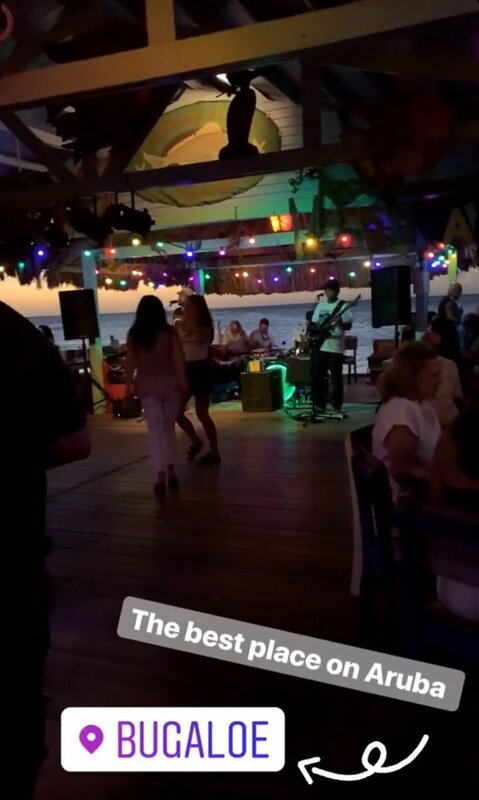 Gilligan’s: This place is awesome for drinks on the beach before or after dinner! We stopped here for their happy hour 4-6 and it’s a nice place to sit and relax. This is on the Hilton’s property on the high rise part of the island. Those are all of my highlights combined between both trips! 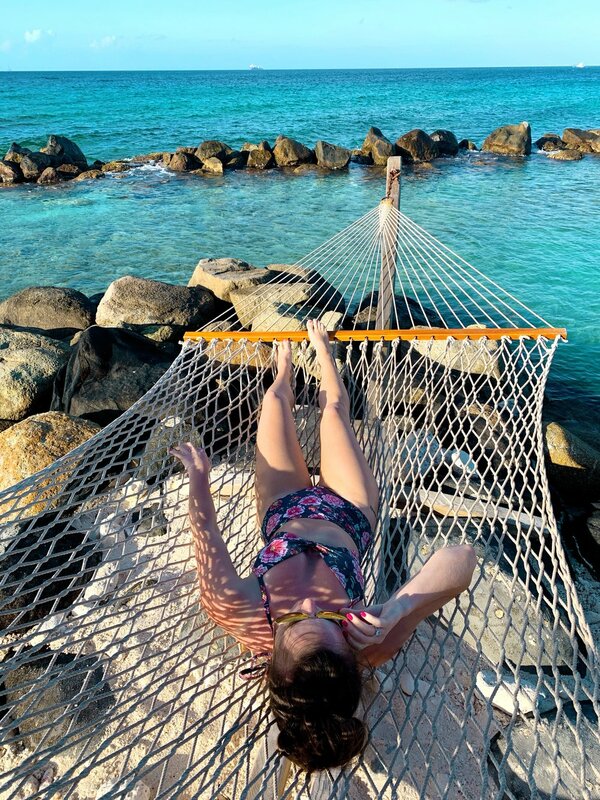 I would love to try to answer any questions you may have about visiting Aruba, so please don’t hesitate to reach out! Aruba is so magical and truly is “One Happy Island” and I hope you all have a chance to visit. Check out the two videos Mack Ford made for both of our trips!